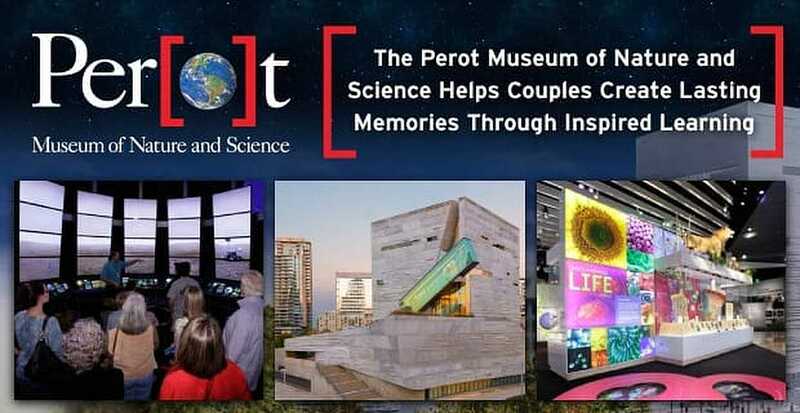 The Short Version: Whether it’s your first date or you’ve spent half a century together visiting arts and cultural institutions, the Perot Museum of Nature and Science in Dallas, Texas, delivers a one-of-a-kind journey into learning that’s sure to impress. Opened in 2012 in Victory Park near downtown, the museum welcomes nearly 1 million visitors per year and has become a popular spot for traveling exhibits, fun-themed museum nights, and unique weddings. As Director of Public Relations and Communications Krista Villarreal Moore told us, the museum’s mission is to inspire minds, making it an ideal location to connect with your significant other while experiencing the world through the lens of science. Funded by a $50 million donation by the five Perot children in honor of their parents, Margot and Ross, the Perot Museum of Nature and Science features five floors housing 11 permanent exhibit halls containing state-of-the-art video, life-like simulators, hands-on activities, and educational games. The museum is also home to a 297-seat 3-D theater, café, outdoor play space, and shop, offering something for science lovers and fun seekers of all kinds. The Perot Museum in downtown Dallas is a great date venue for science enthusiasts. With nearly 3,000 reviews on TripAdvisor and listed as the “#5 thing to do in Dallas” (out of 248 listings), the museum prides itself on one-on-one customer service and creating one-of-a-kind experiences for its patrons. Making it all happen are the hundreds of full- and part-time staff and 1,500-plus volunteers seeking to help others further their knowledge. For many, the museum is not just a hot spot for fun educational activities and learning opportunities — it’s also a great way to share a love of science and nature with someone special. 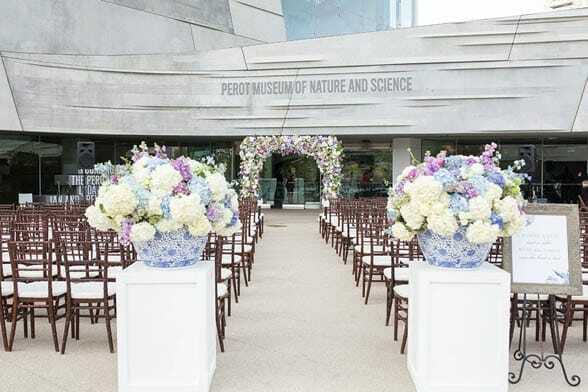 With 180,000 square feet of space and standing at 170 feet tall, the Perot Museum of Nature and Science is a wonderful date venue for science enthusiasts. Walking into the main lobby, visitors are immediately greeted by a 35-foot Malawisaurus fossil — the first of many conversation pieces daters will encounter on journeys through the museum. Couples bond by getting hands-on with the museum’s many interactive exhibits. The museum’s many permanent exhibit halls present varied subject matter that is attractive to a range of visitor types. For families, the Moody Family Children’s Museum and Lamar Hunt Family Sports Hall offer engaging exhibits that can be enjoyed by all ages. But all of the museums spaces — from the Discovering Life and Being Human Halls to the Texas Instrument Engineering and Innovation and Expanding Universe Halls — are ideal for bonding with a date or companion while learning something new. When some people think of first dates, upscale steakhouses or expensive French restaurants come to mind — but there’s a way to buck that trend and take your new love interest to a nature and science museum for cocktails and conversation. 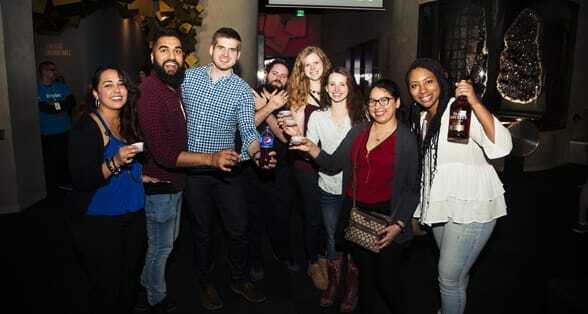 The most popular event held at the Perot Museum is Social Science, which Krista said is “perfect for a date night or fun evening with friends.” Held five times per year, the 21-and-up event is a great way to discover the museum after hours for a special night filled with innovative experiments, signature cocktails, dynamic performances, engaging discussions, and intriguing interactions. 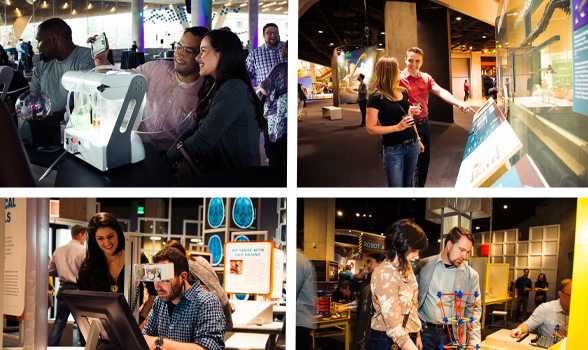 The Perot Museum hosts numerous adults-only nights, each with its own science-based theme. Krista told us each event is centered around a specific theme, and the line-up of topics get more interesting every year. 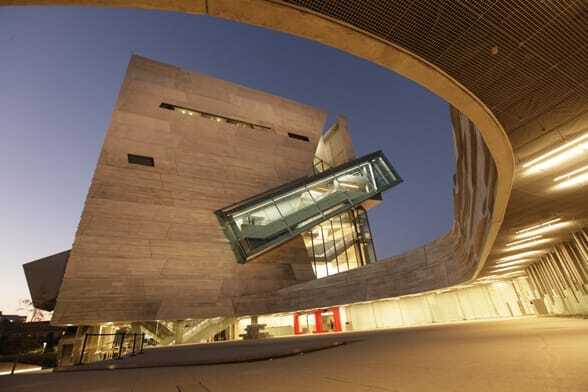 With one of the most recognizable buildings in Dallas designed by Pritzker Architecture Prize-winning architect Thom Mayne and constructed by Balfour Beatty Construction, the Perot Museum has become a sought-after locale for marriage proposals, wedding ceremonies, and receptions. The museum’s halls and outdoor spaces offer stunning backdrops for wedding ceremonies. Located in Victory Park, adjacent to the West End Historic District and near some of the city’s best hotels, the museum hosts dozens of weddings each year. The museum’s event rentals page outlines, level by level, how many guests the halls can accommodate and presents photos of past weddings that can work as inspiration for your big day. The mission at the Perot Museum is simple and important — to “inspire minds through nature and science.” While many of us are attached to our digital devices and are increasingly taking less and less time to look to the outward world for inspiration, arts and cultural institutions like the Perot Museum create a sense of wonderment and exploration that we are otherwise lacking in our daily lives. That’s just one of the reasons why spending a day at the museum is a great way to get to know someone.